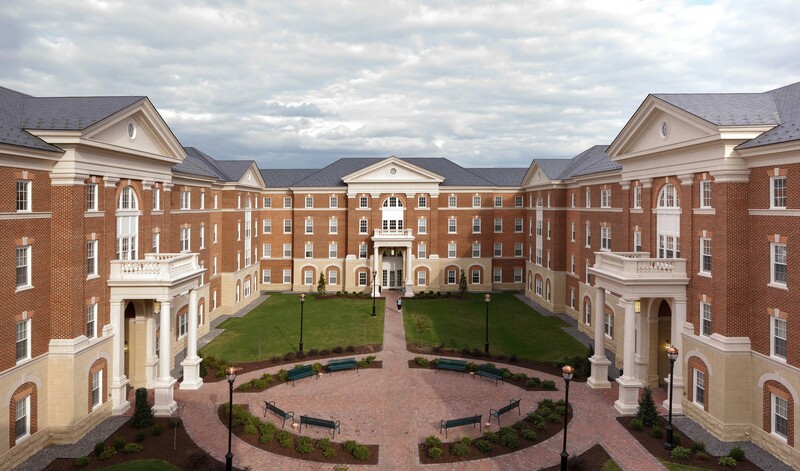 IN RESPONSE to an era of nation-wide competition to attract the best students, Christopher Newport University (CNU) has upheld its mission to provide a variety of high-quality student life experiences with the new Rappahannock River Hall. 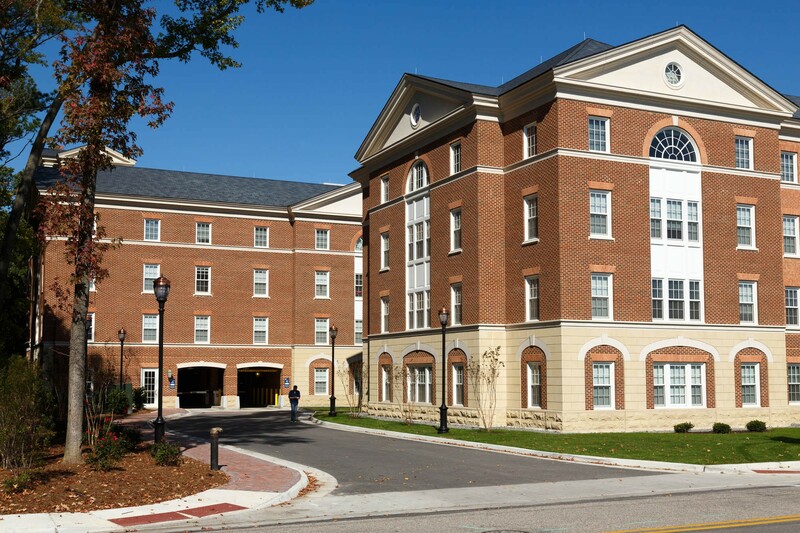 Designed by Glavé & Holmes Architecture (G&HA) to be stylistically compatible with other recent facilities, this Neo-Georgian, 450-bed residence hall with an attached 270-car parking garage is targeted toward upper classmen who desire an apartment experience while living on campus. 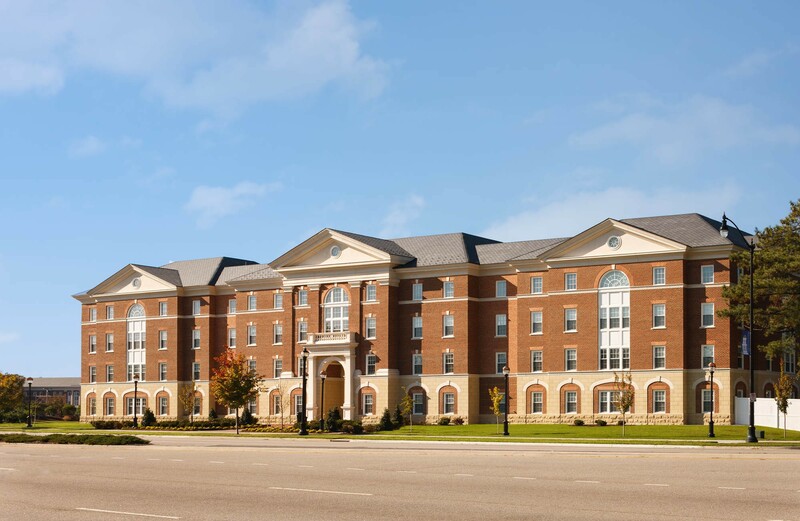 Located on the northern edge of the CNU community, and adjacent to off-campus commercial services, the living units are configured as autonomous apartments, complete with in-unit kitchens and laundry. 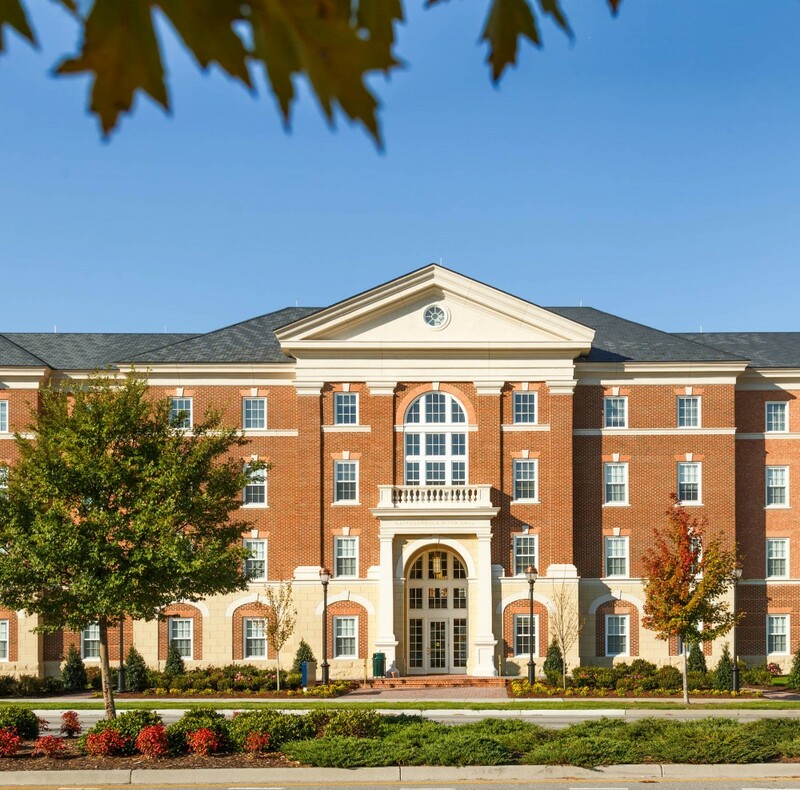 Although the two, three, and four bed apartments have shared living and dining spaces, each bedroom is intended for a single student and has its own bathroom, providing a balance of privacy and community. 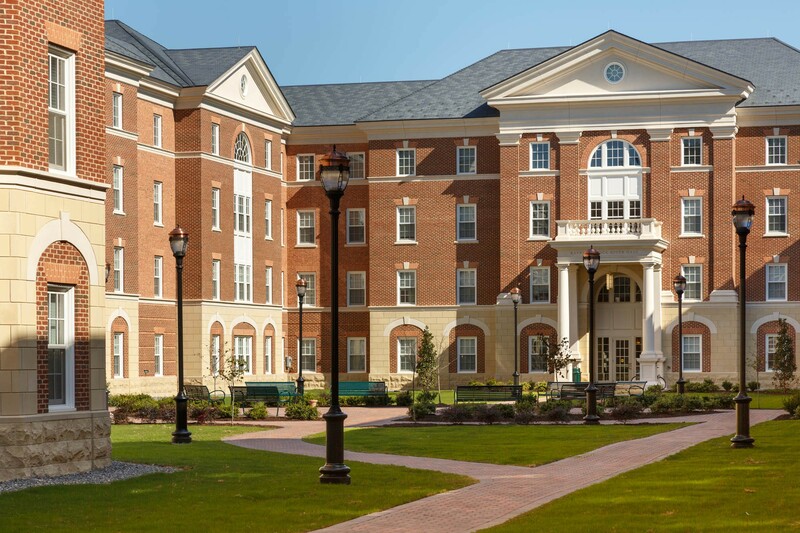 To complement the interior program, Rappahannock River Hall encloses an exterior, semi-private garden space intended for student recreation and outdoor living. 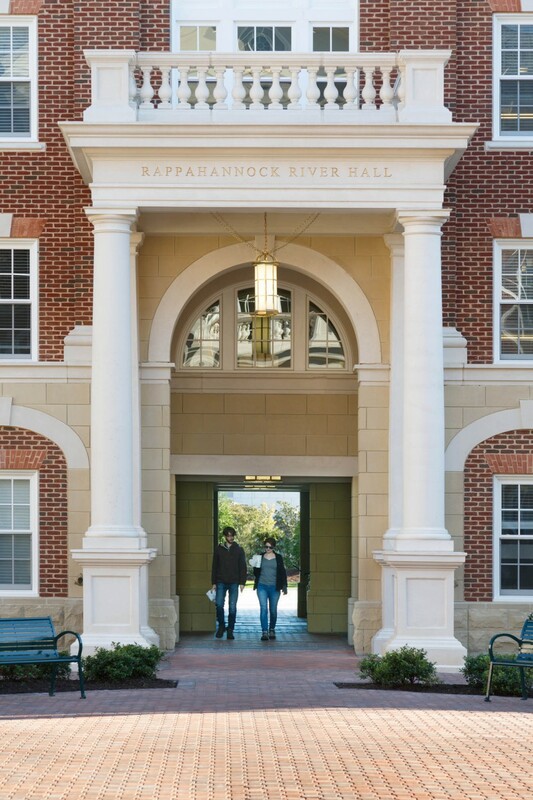 Viewed as the culmination of the on-campus experience for CNU students, Rappahannock River Hall provides juniors and seniors with a taste of post-graduation freedom with the convenience and safe community of being on campus.